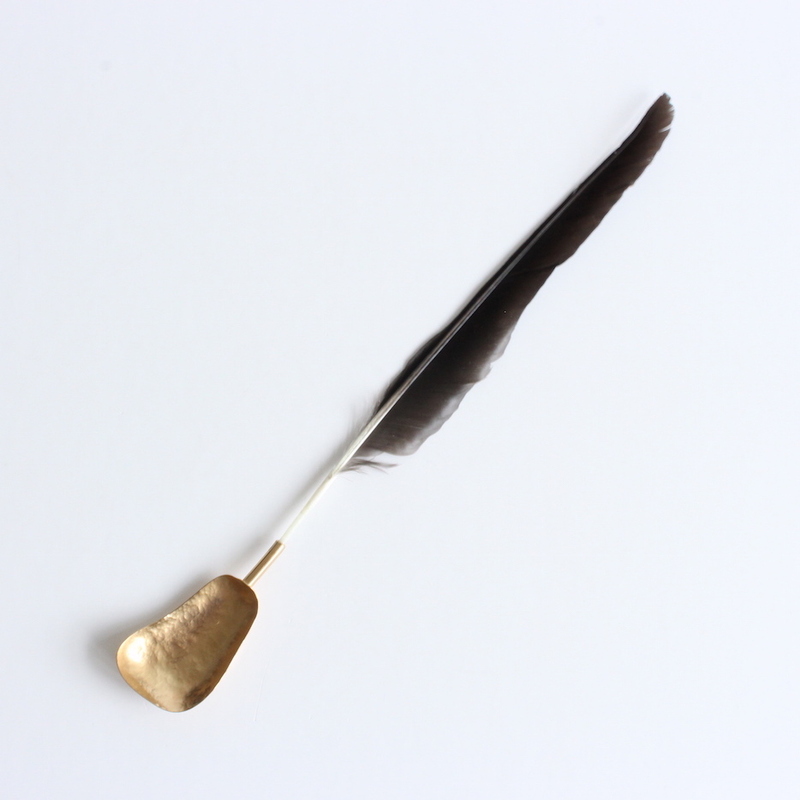 This spoon is made of copper (from the artist parents old roof), a found feather and gold plating. 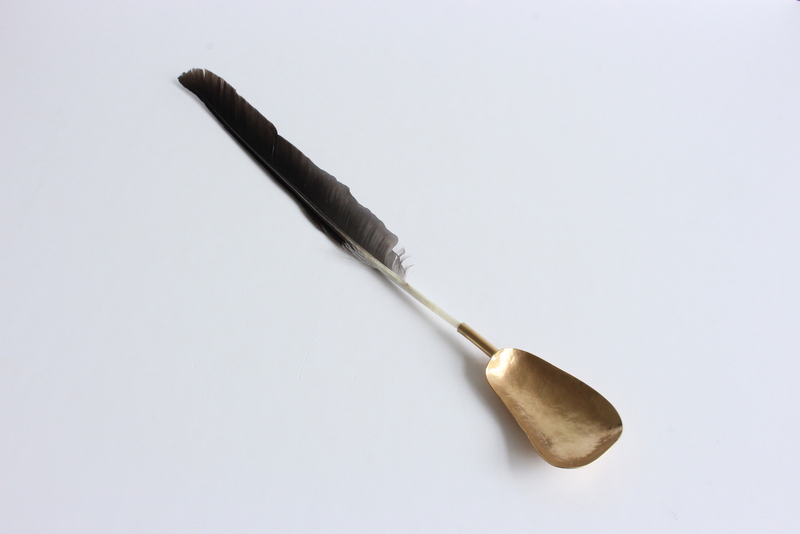 Part of Elin Flognman’s first series of unique cutlery pieces. 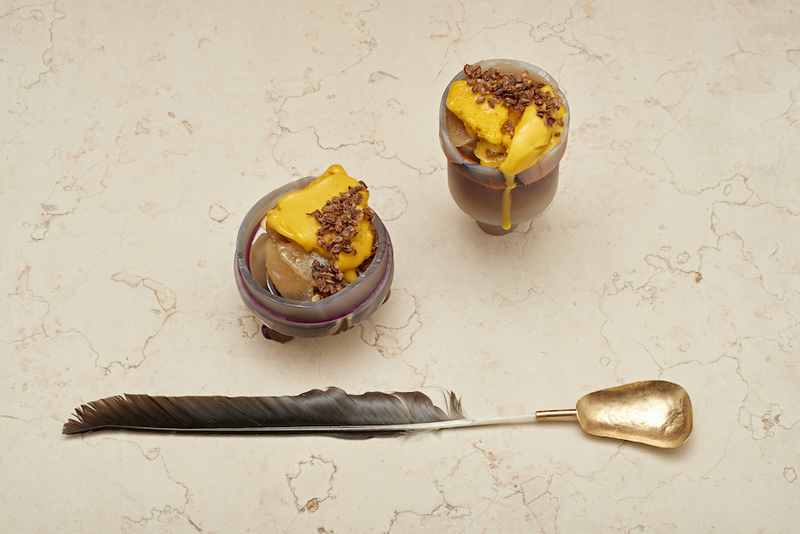 Each spoon is made from materials with a history, like her parents old copper roof, wood from trees cut down in a nearby park and lenses from used glasses, contemplating the experience of the meal in different ways. What is a correct food culture? Is it ok to eat with your fingers? What if the table becomes the spoon? 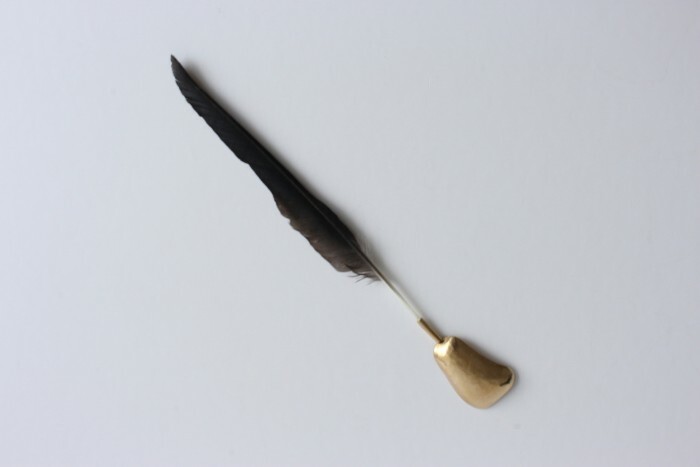 Techniques used: forging, soldering, gold plating and gluing. 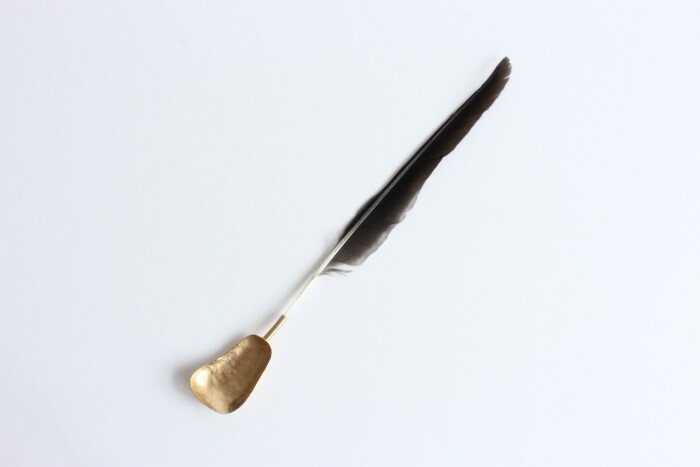 Cleaning instructions: The feather should not be washed.